In July 1798, General Bonaparte invaded Egypt with an army of soldiers, engineers and scholars. One month later, Admiral Nelson destroyed the French fleet in the Battle of the Nile. Situated between Europe and India, Egypt now became the Middle East for European empires. 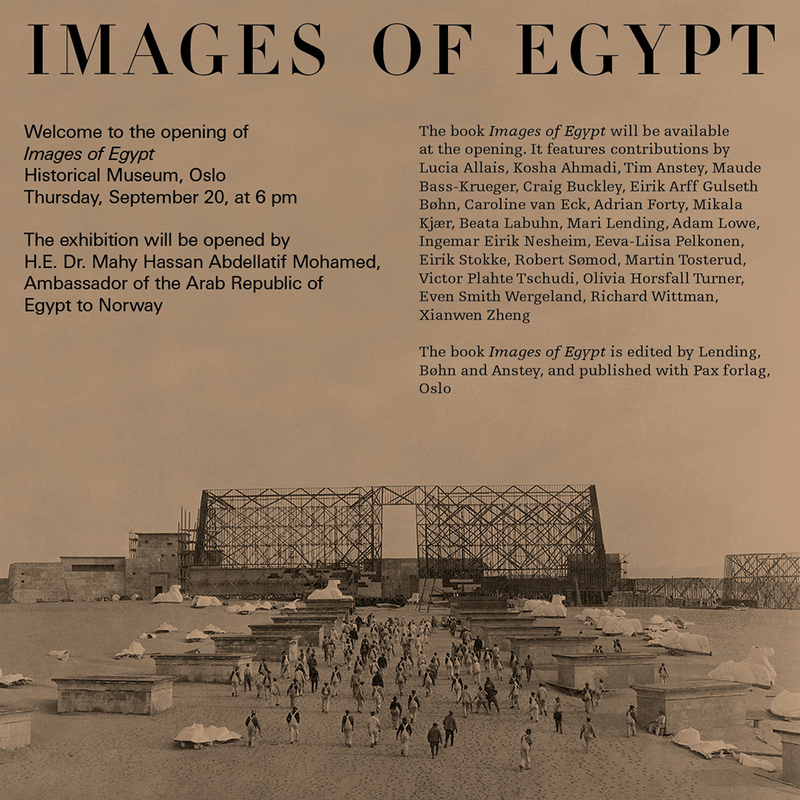 Since then, images of Egyptian landscapes and monuments have circulated as fantasy and reality in the West, while physical parts of that same landscape were carried off to cities like London, Paris, Turin, Berlin, and New York. From Napoleon’s Description de l’Égypte(1809) to Factum Arte’s technologically advanced facsimile of the sarcophagus of Seti I (2017),the precious objects in this exhibition showcase an ancient landscape in radical transformation. From Sevrès porcelain to operatic stage sets by Karl Friedrich Schinkel and David Hockney, from naval engineer Apollinaire Lebas’ scale models documenting his relocation of the Luxor obelisk to Place de la Concorde, Paris to recently excavated Hollywood antiquities from the filmset of Cecil B. DeMille’s The Ten Commandments(1923), Images of Egypt tells the story of ancient Egypt as image, as invention and as geopolitical reality. Images of Egypt is curated by OCCAS-scholars Mari Lending, Tim Anstey and Eirik Arff Gulseth Bøhn. The exhibition is produced under PriArc: Printing the Past, directed by the Oslo School of Architecture and Design, as part of the European Union Humanities in the European Research Area (HERA) programme. Originally posted Sep 16, 2018. Latest revision Sep 17, 2018.